Do you want to analyze vast amounts of data, create Power BI dashboards and reports to help you visualize your data, and share insights across your organization? Azure Data Explorer (ADX), a lightning-fast indexing and querying service helps you build near real-time and complex analytics solutions for vast amounts of data. ADX can connect to Power BI, a business analytics solution that lets you visualize your data and share the results across your organization. The various methods of connection to Power BI allow for interactive analysis of organizational data such as tracking and presentation of trends. The following example depicts how the native Power BI connector is used to query GitHub public data that was pulled into the Demo11 ADX cluster and stored in the GitHub database. 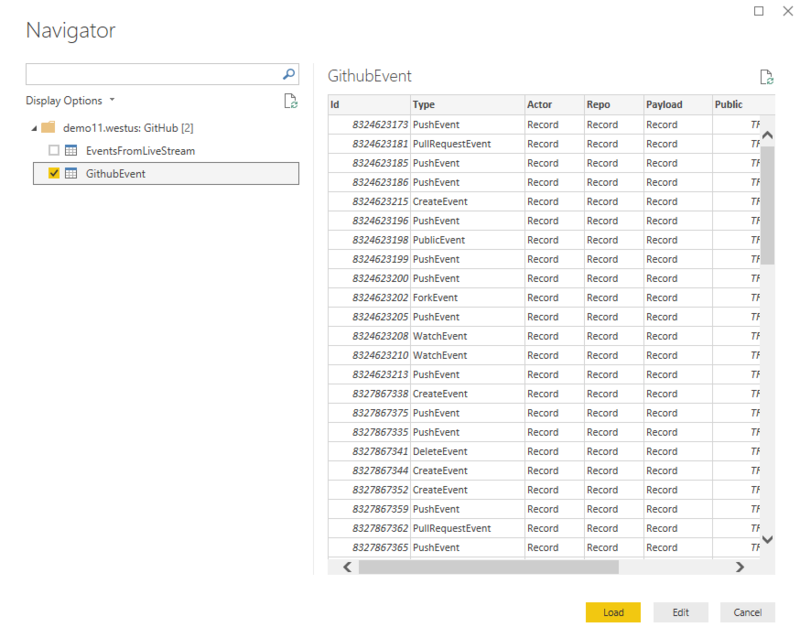 Once loaded to Power BI, you can build any report or dashboard to analyze and visually represent the GitHub event data. In this blog, we depict the various ways to query data from Azure Data Explorer to Power BI. Additional connectors and plugins to analytics tools and services will be added in the weeks to come. Stay tuned for more updates.